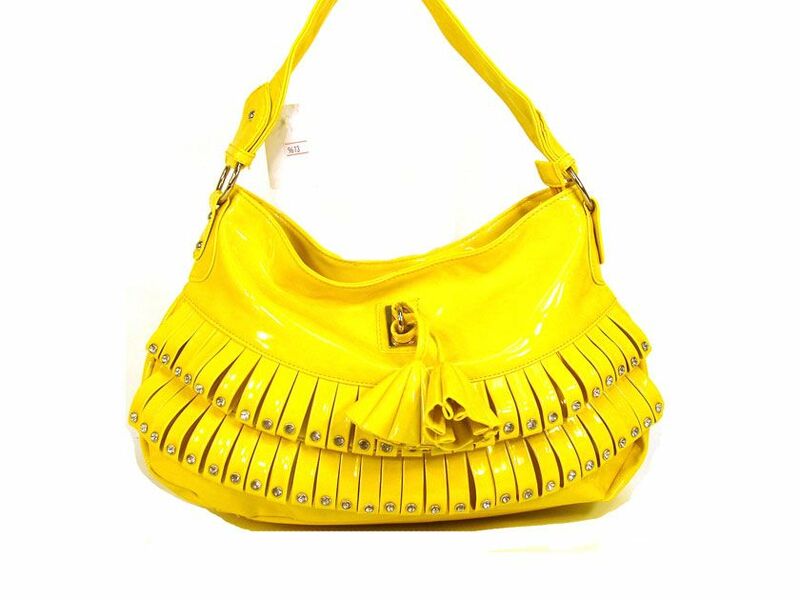 Wholesale Handbags #9613-yl Fashion shoulder bag has a top zipper closure, a single strap and layered frill in same fabric with studded details on it. Made of PVC. Fashion shoulder bag has a top zipper closure, a single strap and layered frill in same fabric with studded details on it. Made of PVC.